Guardian24, a leading provider of lone and mobile worker safety solutions, is pleased to announce that they have registered their one millionth lone worker activity for this year. 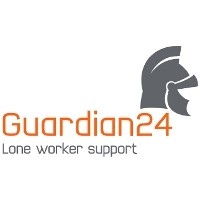 Guardian24’s lone worker solutions provide two key features; the ability to easily raise a covert panic alarm on a chosen device should the user’s safety be compromised and the ability to log lone worker activities. By generating an activity lone workers are creating an extra safeguard by activating a welfare check. The user provides information such as who they are going to meet, where they are going and how long they expect to be. Should their activity overrun Guardian24 will then contact the lone worker to confirm their safety. If there is no response to the call, the overrun activity will then automatically escalate to a panic alert. At this stage the service will immediately notify a nominated respondent or a CATII BS5979 accredited Alarm Receiving Centre, log GPS location fixes and record live audio from the lone worker device. Monitoring the information logged from the activity, the GPS location fixes and the live audio provides a valuable amount of information to aid in locating and supporting the lone worker. The one millionth activity was logged at 10:02am on Tuesday 4th November 2014 by Linda Murray, a Befriending Volunteer with The Alzheimer’s Society in Wirral. To celebrate this achievement Guardian24 donated £200 to The Alzheimer’s Society charity who have been a customer of Guardian24’s for over five years. Guardian24 have registered over one million activities so far this year indicating a rise in the amount of people working alone for periods throughout the day. Guardian24 is used to protect staff when lone working, traveling to and from work, visiting clients in their homes and businesses and when working in isolation on remote sites. The BS8484 certified service can be used via a mobile phone or specialist lone worker device to aid employers in meeting their duty of care to their lone working staff.